I have always been fascinated by cats. There is something magic in their movements, independence, and going their own way. Although they fawn on us they still demonstrate a unique personality and there is a grain of truth in all those funny internet pictures showing that it is your cat who decided to live with you, not the other way around. One day I was seized by the desire to have an ideal feline. I looked for a cat to be dog-like in temperament and personality, not losing a dander, and a very socialized one. I used to divide people into dog lovers and cat lovers. 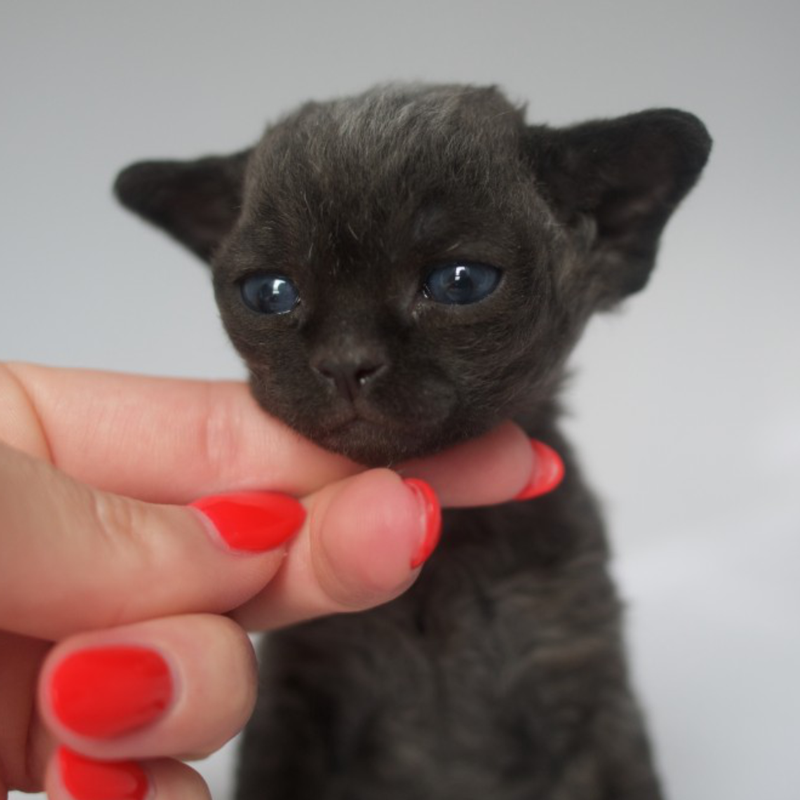 But when I saw a Devon Rex for the first time two years ago all my former preconceptions had to be set aside. I wasn’t even sure if it was a cat. I am still not quite sure when I see those magic eyes and enormous energy. It reminds me of E.T. from the S. Spielberg’s movie. I would venture a guess that it is a companionable alien. 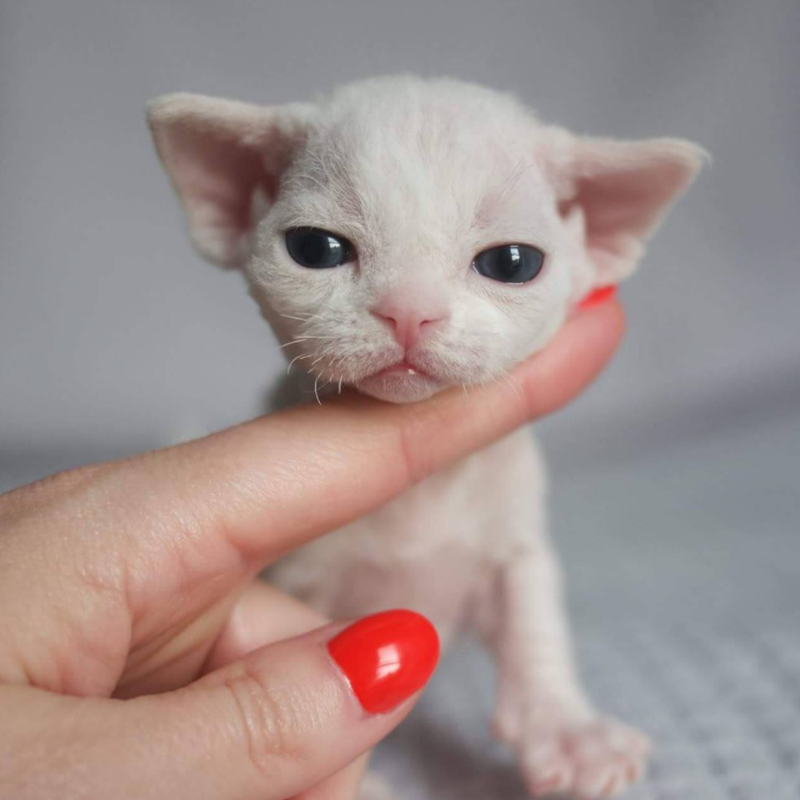 DUDOLAND*PL cat – breeding is a member of SMK Żory Club – an associate club of Felis Polonia – Polish Feline Federation (FPL), which is the largest Polish feline organization of Feline Clubs and Organisations. 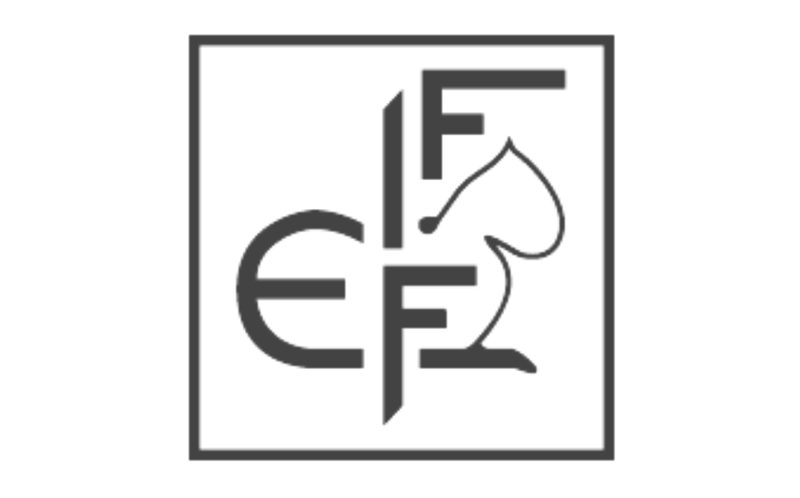 Our cats receive a trustworthy – multi-generation pedigrees from the world’s largest International Feline Federation – Federation Internationale Feline (FIFe).